LOS ANGELES (WLS) -- A Chicago mother was reunited with her son Wednesday after ten years. Michael Walker, who suffers from drug addiction and mental illness, had been homeless in the Los Angeles area for more than two years. His struggle with drugs and mental illness lead him to a life of crime, Los Angeles police said. To help break the cycle, the LAPD, a Los Angeles attorney and a homeless organization worked to find Walker's mother, who lives in Chicago, authorities said. 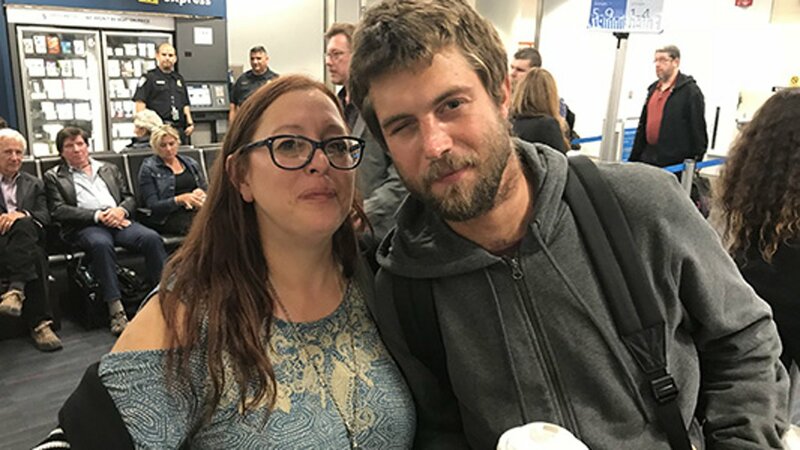 Walker and his mother were reunited at Los Angeles International Airport Wednesday and returned to Chicago together, police said. Michael Walker and his mother stand with LAPD officers before returning to Chicago Wednesday.